OLD PARKED CARS. 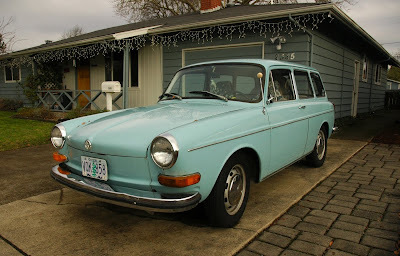 : 1972 Volkswagen Type 3 Wagon. 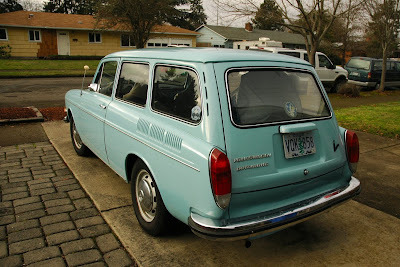 1972 Volkswagen Type 3 Wagon. I knew a guy once with one of these VW square-backs. In the early 1980's, he boasted about its versatility, claiming that he could always just BARELY fit anything he wanted into it. Nice to see this one in such good shape! What is the emblem pictured in frame 3? A joint??? As opposed to pre-70 models which had 4 inches shorter front end and imho better looking shape. 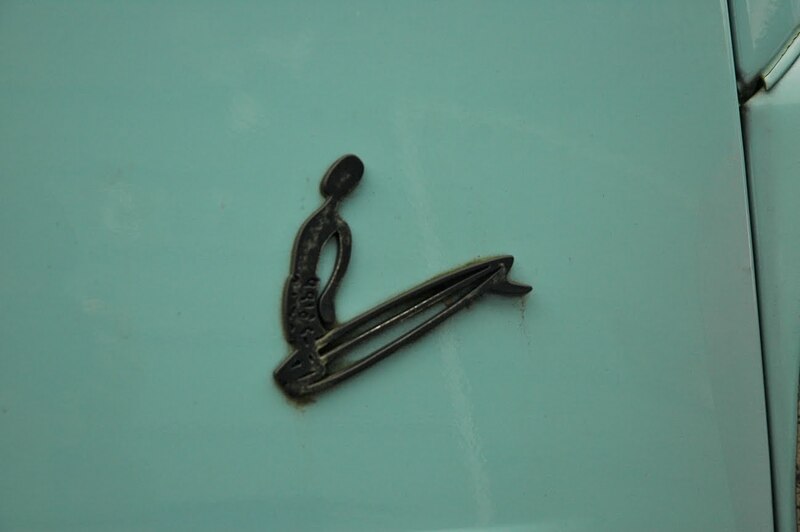 The emblem is a little surfer dude hanging ten. If thats hard to understand then look carefully: surfboard on the bottom, dude leaning back with toes over the front of the board (hence 'hanging ten'). Undoubtedly a statement on the lifestyle of the owner. I could fit a surfboard in it for sure, but I'd rather put a rack on top. Cool aircooled bug relative. My friend has a mid-60's notch back version of this. It's currently a re-build, but will definitely be a looker when done. 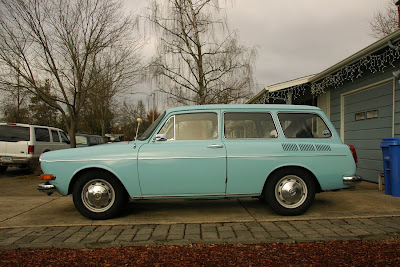 Always found these to be the obscure one in the VW family. Not enough attention to these. This colour is brilliant by the way. 41 years car. Μy grandfather brought one dark green colour from Germany to Greece at the midle of 80's with Germany traffic signs. Its a surfer and surf board looking at the sun. I believe they mistakenly placed the board fin in the wrong side.